This almost sounds like this could be one of the 2006 Camden rehearsal session songs (that Robin Banerjee gave to a forum member some years ago). I've never heard or read anything about Amy ever being in Argentina, it sure would be nice if the YT poster would give us a little more info. Thank you so much, it sounds like a completely new song (just like Amy's different versions of songs always do)! I'm listening to it on a loop !!!! This almost sounds like this could be one of the 2006 Camden rehearsal session songs (that Robin Banerjee gave to a forum member some years ago). Yes, that's where the first three songs came from, and I'm assuming that this last song was also from that session. Thanks for posting that photo and the info, I was told back then that Robin had 21 songs, but it's really actually 16. 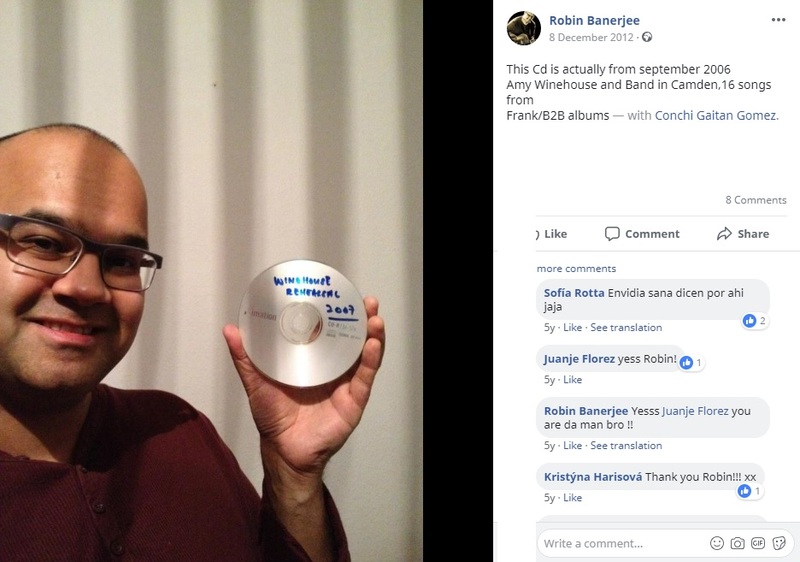 I think it would be a good idea to talk to him on Facebook to see if he knows or has that CD. I'd love to hear the 17 tracks! I still don't understand why it says "Buenos aAires", I tried to contact the person who uploaded the video but no asnwers yet. Perhaps Amy rehearsed there? Wow, I always wanted to know how a B2B era version of In My Bed would sound like, intersting. Thanks. I'd also like to hearnever versions of Best Friend or You Sent Me Flying, but I don#T think, she performed those back then. Thx. I just noticed that a few more songs from that session are listed on a trading site.